Not as crowded today on the subway. Old school writing with a pen and paper while carrying a Zabars bag. 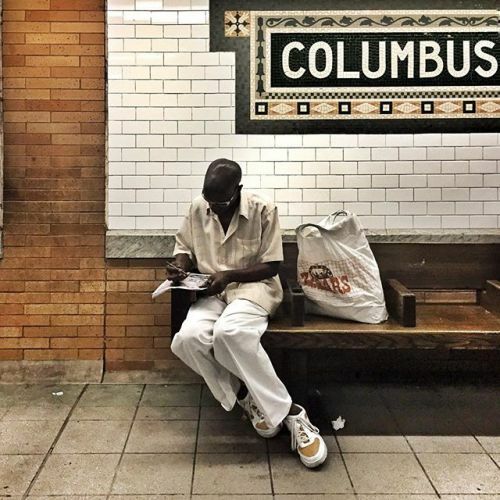 #photojournalism #documentary #reportage #streetphotography #subway #newyorkcity #nyc #imisspenandpaper” By benlowy on Instagram.